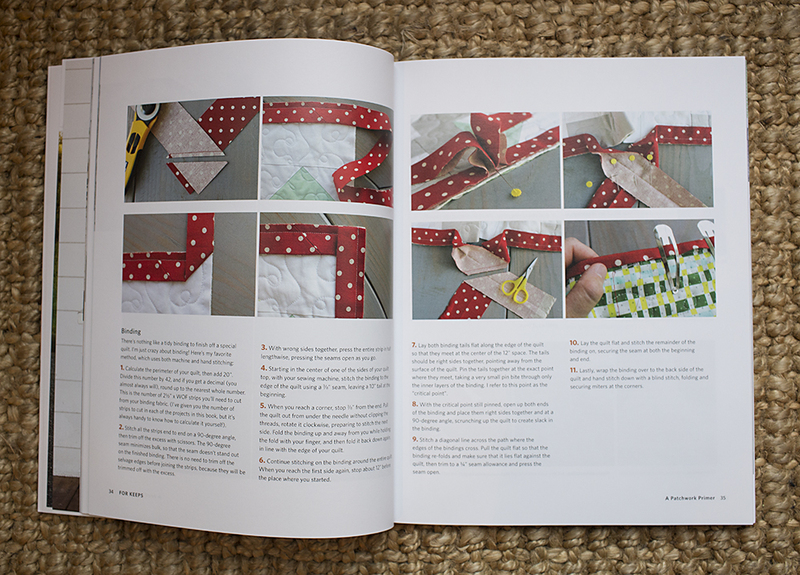 A few weeks ago, I received Amy Gibson's new book in the mail, For Keeps: Meaningful Patchwork for Everyday Living. You might know Amy from her blog Stitchery Dickory Dock or maybe her Craftsy classes. I'm not entirely sure when we first met, but I'm guessing we go back to Sewing Summit I or II. It's been fun to get to know her and watch her accomplish so many things, including writing a book! 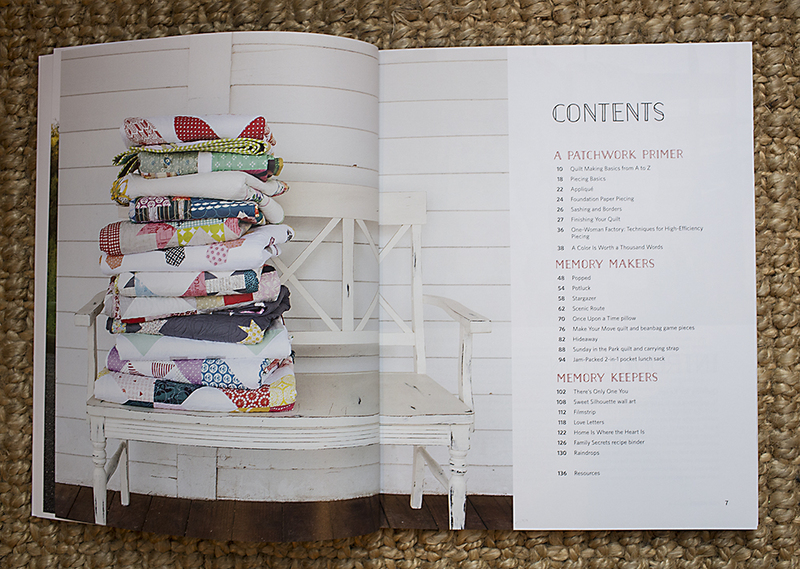 For Keeps is a beautifully photographed quilting book divided into 3 main sections: A Patchwork Primer, Memory Makers and Memory Keepers. 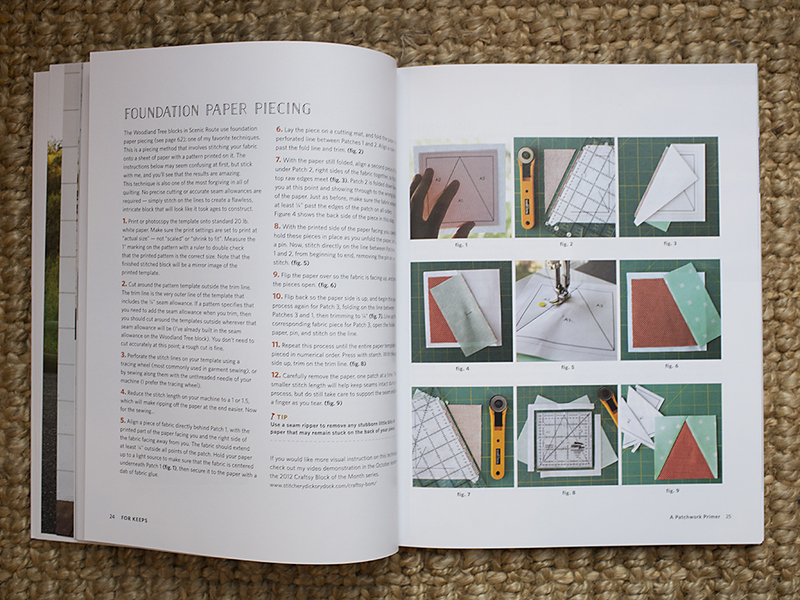 The first section, A Patchwork Primer, is a 28 page crash course in quilting. Amy covers everything from supplies to piecing, binding to appliqué, quilting to foundation paper piecing, and finally quilt finishing. There are a ton of a photos. This is great for visual learners like me. 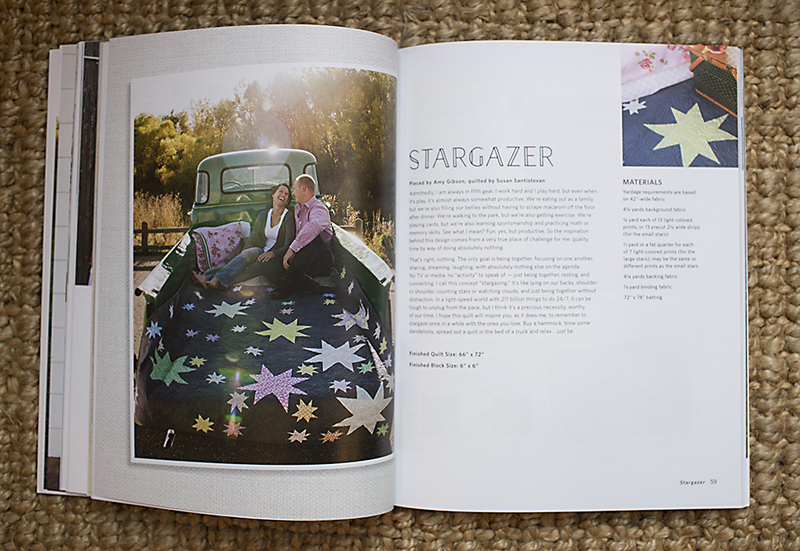 The second section, Memory Makers, is full of projects that focus on spending quality time with your loved ones. 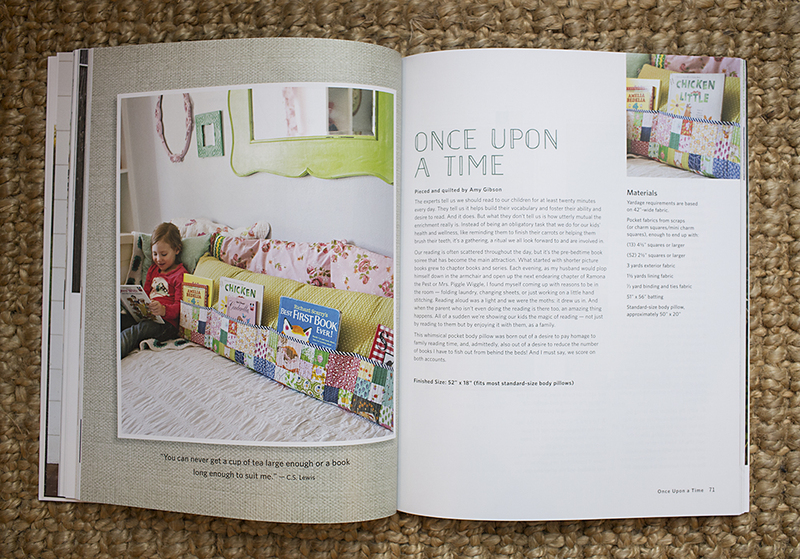 There are nine different patterns, including cuddle quilts, picnic quilts, playmats, and story book holders. The third section, Memory Keepers, are projects associated with preserving memories. The seven projects include a new spin on a family tree quilt, a silhouette project, and a photo quilt. Amy has a great For Keeps website with some fun extras for you. She is encouraging all of us to take some time to think about why we sew and who we sew for. She has a fun "For Keeps Pledge" you can take - read more about it here! Amy also has a free pattern for a quilt block on her site - for you to make for yourself and/or for a community charity quilt. I hope you are inspired to check out For Keeps, as well as visit Amy's website and learn more about the "For Keeps Pledge".